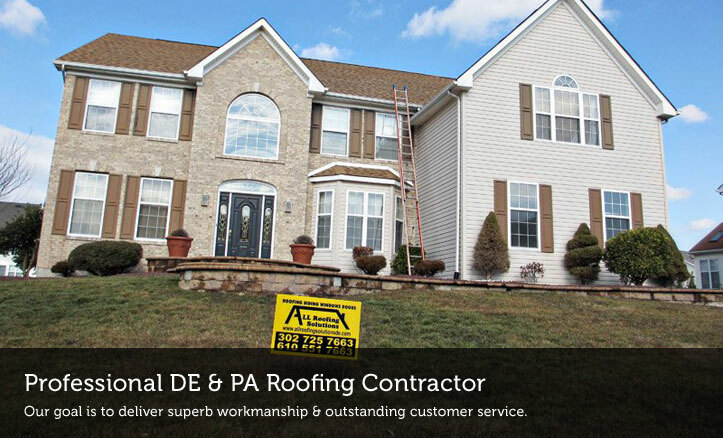 All Roofing Solutions is a family owned and operated Media PA roofing & siding contractor with 20 years of experience.. We offer roof replacement & roof leak repair services and specialize in both residential & commercial roofing in Media, Pennsylvania. Proudly serving Media, Pennsylvania, since 1998! Call (610) 551-7663 if you need an experienced Media roofing contractor and we’ll be happy to assist your with your re-roofing, new installation or roof leak repair needs. Media PA Roofing Services We Offer! All Roofing Solutions is fully insured and licensed to do roofing and siding work in Pennsylvania. If you have a roof leak, need a complete roof replacement or gutter repair, contact All Roofing Solutions. We offer thorough roofing inspection and free repair/replacement estimate to our customers in Media PA and beyond! All Roofing Solutions specializes in Residential and Commercial roof repair and replacement in Delaware and Chester counties of Southeastern Pennsylvania – call us whether you need inspection, routine maintenance or a whole new roofing system installed. Call 610-551-ROOF (7663) for Free Roofing Estimate.